Martha Berry expresses her desire that Mary would have waited to get married until after graduation. She also asks Mary to continue to write and be involved in the Berry Schools, especially with the girls of Faith Cottage. 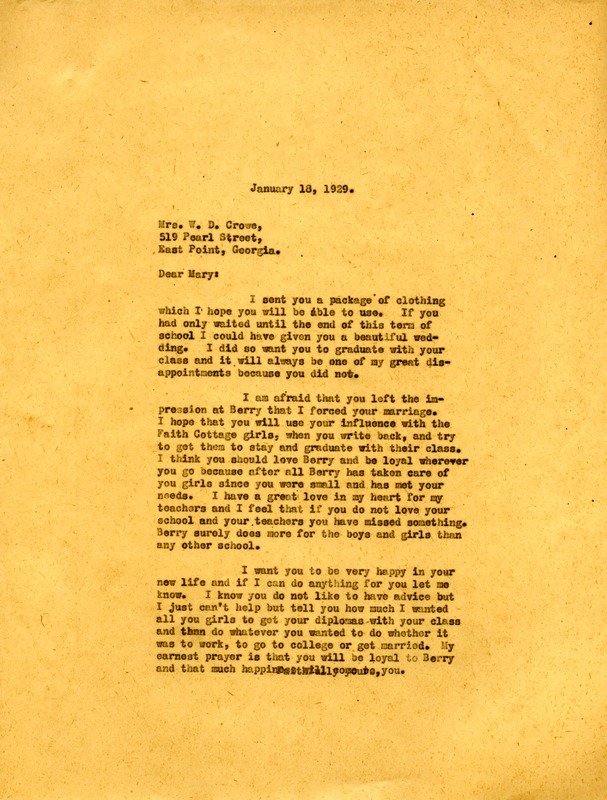 Miss Martha Berry, “Letter to Mary Crowe from Martha Berry.” Martha Berry Digital Archive. Eds. Schlitz, Stephanie A., et al. Mount Berry: Berry College, 2012. accessed April 23, 2019, https://mbda.berry.edu/items/show/9874.